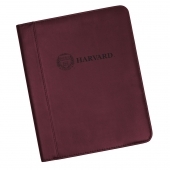 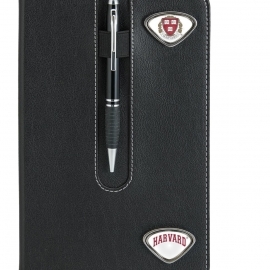 Get organized with this leather padfolio with the Harvard seal design on the front. 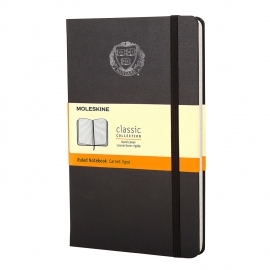 Perfect for job interviews and business meetings, this notepad padfolio can hold a standard letter-size legal pad for writing notes or brainstorming ideas. 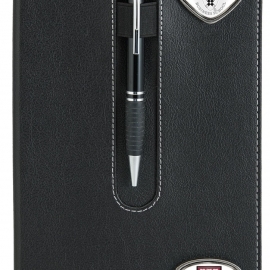 It also has a slant pocket and two business card slots. 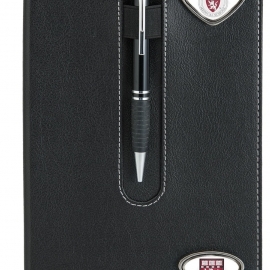 The sleek leather cover will add an air of professionalism to your appearance.